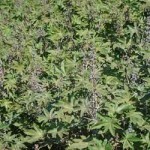 Jamaican Minister has given a commitment to assist Jamaica Baptist Union (JBU) with lands for its castor bean project. Currently a property under the Sugar Company of Jamaica (SCJ) Holdings Limited has been made available for use in the project. During phase one of the project, 1,000 acres of beans will be farmed and harvested over two 21/2-year cycles. In phase two, the harvested beans will be processed to produce castor oil. The Jamaican castor oil has the potential to earn between US$80 million and US$100 million on the US market. A wholly-owned subsidiary of US-based BioPower Operations, has agreed to develop a castor plantation and milling operation in Paraguay. Under the terms of the agreement Ambrosia, a development company, will provide the land, pay costs for the testing and give BioPower a monthly project management fee and reimbursement of expenses during the test period for subcontractors on the ground in Paraguay. BioPower will provide project management testing services through the testing phase for up to 12 months until the successful certification of the yield from growing castor is proven, subject to material and adverse events. Once the project is approved then, under the Castor Master Farm Management Services agreement, $10 million will be invested from Ambrosia towards the building, development and operations of the castor plantation and mill. BioPower will either earn 6% of the net income for 10 years or have an option to become a 20% owner of the project.